You could use these at a party or to give to the neighborhood kids. Fill them with snacks, snack mixes, candy or anything you like! Snack: We had fun making Scarecrow Crunch with an optional game to graph each ingredient. A mom decorated the mandarin orange slices with pumpkin faces. Games: 1. Tossed spiders into a giant spider web. 2. Poured baking soda and vinegar into Jack O Lanterns and watched them “puke” or “erupt.” 3. Throw rings around pumpkins on the floor. Craft: We are going to read “Dragon’s Halloween” and decorate mini pumpkins. Our Co-op sells half a bushel of pumpkins much cheaper than in the stores. Here are photos of the bags we made. 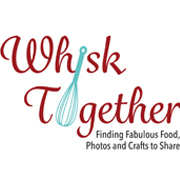 This idea was found on The Celebration Shoppe’s website. You can use the bags to hold snacks, small treats, small toys or just decoration. Cut 1″ black circle, a 2 or 3″ black circle and small legs. Fold the legs like an accordion. 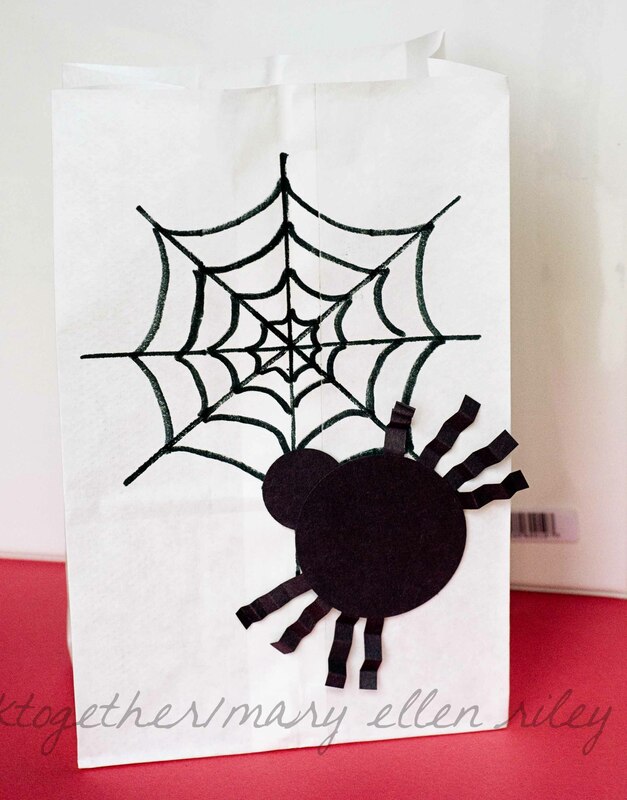 Draw spiderweb on bag first. Then, glue spider. Fold 2 cupcake liners in half. Glue as shown below. Cut out 2 eyes that are 1″ circles and 1 small triangle nose from orange paper. Cut out 2 – 2″ white circles. Glue as shown. Cut out wings as shown below. 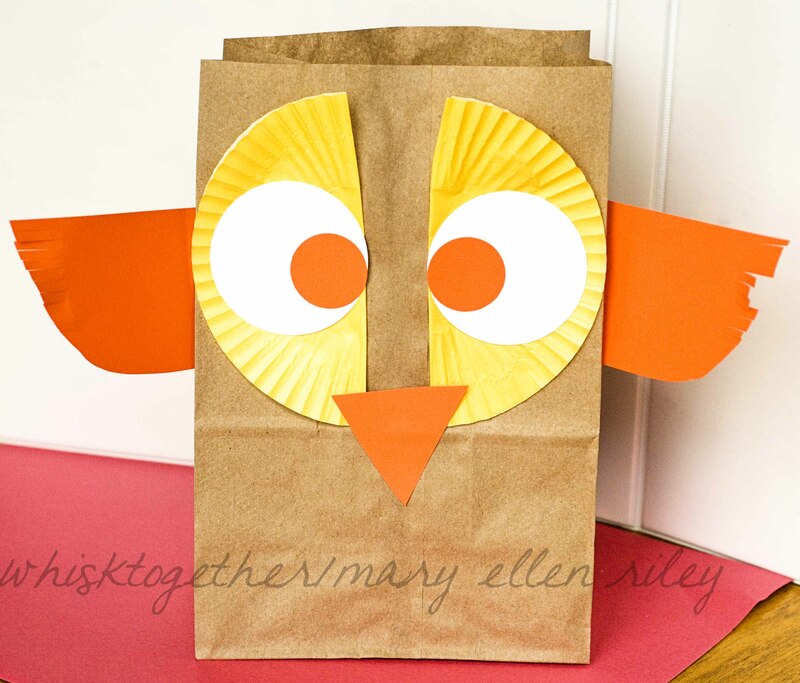 Glue them on to the sides of the brown bag and make small slits on the side. Feather out the slits to look like feathers. Cut or punch 2 – 1″ eyes out of black. 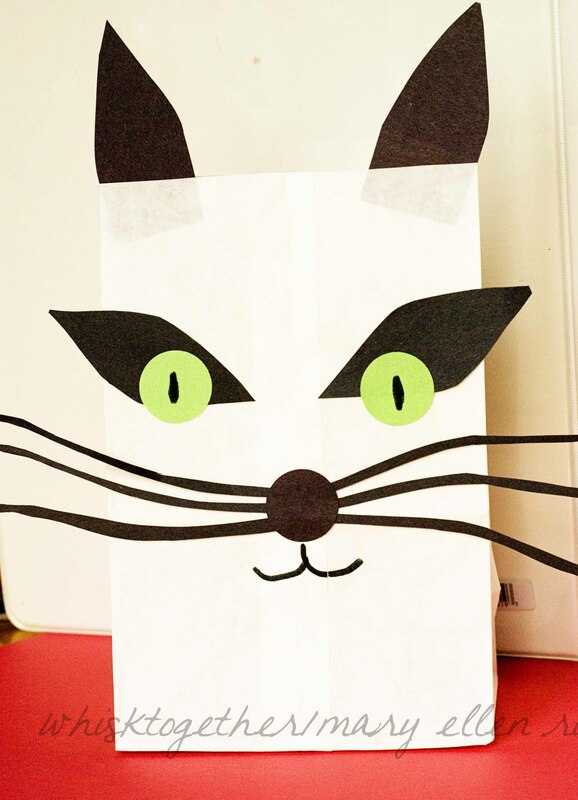 Cut out eyebrows from green paper and glue the eyes as shown. 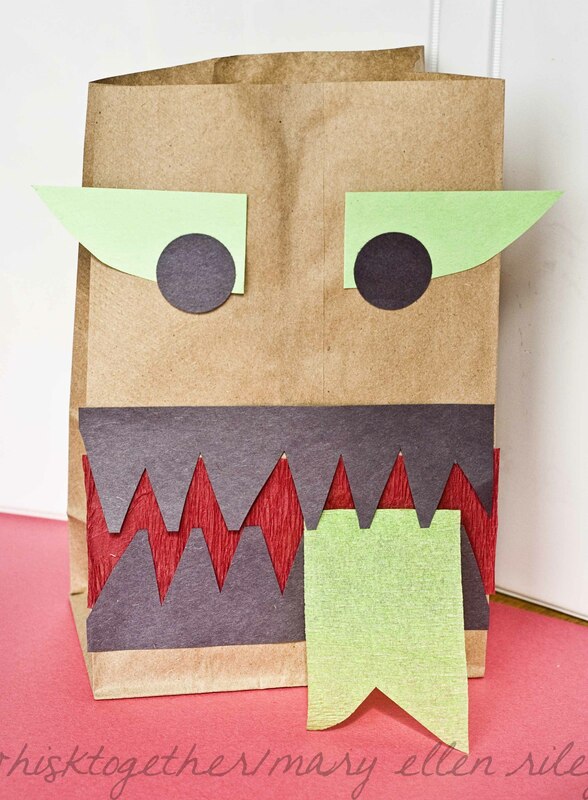 Cut out mouth/teeth as shown below using the bag to make the dimensions. Cut 1 piece of red crepe paper the width of the bag. Glue on. Cut out a green tongue from the green crepe paper. Glue on the teeth with the tongue glued on with it. Cut out eyebrows, ears, nose and whiskers from black paper. Glue on. Cut out green eyes. Draw pupils on the eyes and glue on. Add mouth with a marker. 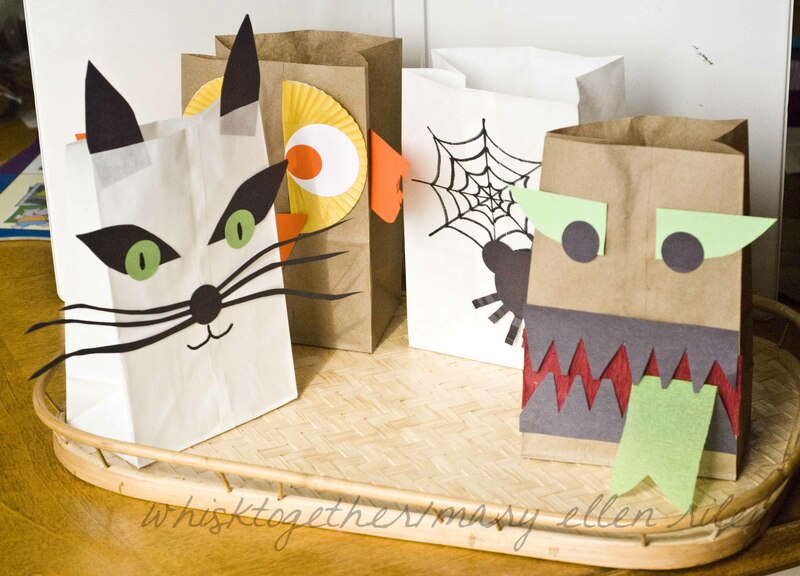 So glad you liked my four Halloween goody bag ideas and instructions! I had a lot of fun creating each of them with my sons too.